If a billion monkeys typed on a billion typewriters for a billion years, I’m not sure they would come up with this sentence: Things are looking up for Applebee’s. 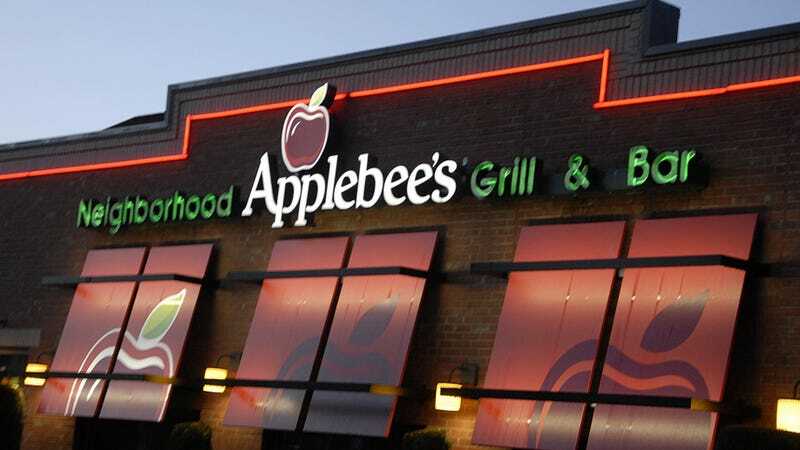 In a just-released report of its second quarter earnings, Applebee’s sales increased 5.7 percent, which is the “highest quarterly domestic sales increase in over a decade,” according to the chain’s press release. God bless the 25 year olds today who can’t pronounce pomegranate. Value. Alcohol. Value alcohol. Value alcohol millennial crowd. $1 Long Island Iced Teas. Where art thou, sweet hereafter? When I was in my 20s and in the dating pool, I offhandedly told someone after our third date that I loved her. The lesson here is that “love” is a very strong word, and if not deployed properly, will backfire. She dumped me by text the next day.